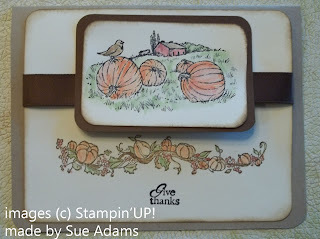 You will also get a free set of ink pads when you join Stampin'UP! Join now, whether its to start a business or as a hobbyist. You'll be joining my growing team where you'll find lots of support. Whether you want to grow a business or just grow your skills you'll find lots of opportunities and help along the way. 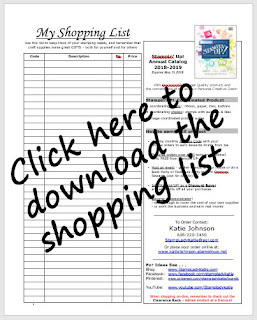 You'll have access to many resources both from Stampin'UP! and from my team. Whether you want to start your own stamping business or if you just want the discount buying program, everything is available to you. Its really hard in a short blog post to effectively explain all the advantages you have when you do join. But just know that my success in my business depends on your success and your happiness in being part of Stampin'UP! There really are amazing benefits and there is absolutely no risk. You spend $99 and you get so much more than what you pay for. The first benefit is that you spend $99 but you get to "buy" $125 worth of stuff. You do pay tax but there is NO SHIPPING on the Starter Kit. Add to that the $49.95 value of the FREE INK PADS and you are getting $174.95 of stamping supplies for only $99. And there is NO RISK! period. When you join you immediately have access to the discount on all purchases. To stay active you need to place orders of at least $300 every 3 months. And the no risk part is that if you don't place the order you are just no longer an active member. That's it. But seriously, if you have friends who stamp its so easy to gather group orders once every 3 months. And the best part is (shuush, company secret here: YOU get the hostess benefits too - that's more free stuff). I think the association with other stampers is one of the biggest benefits to joining. 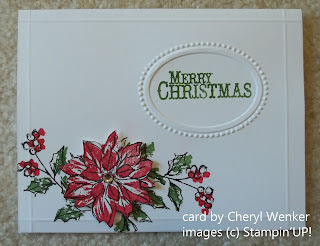 I've met friends I would have never found other wise and I get so many great stamping ideas from others in the group. Here are a few of the trade cards I've gotten recently. 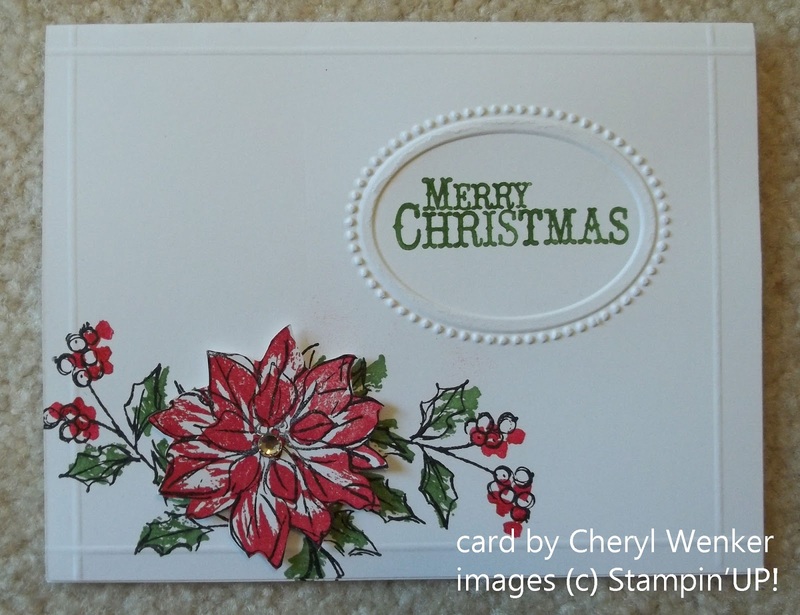 Cheryl's card uses a stamp set from the Holiday Mini Catalog. The set is called Watercolor Winter. I really love the images in this set, in fact I used it myself on one of my trade cards for a different event. 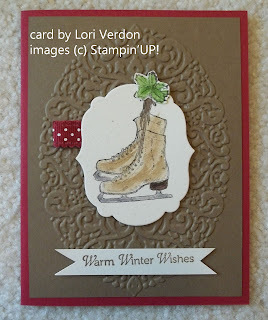 Cheryl used the Designer Frames embossing folder to create the textured oval for her sentiment. She stamped the line image and then added the color. For additional texture she scored around the edges of the card. then to really make this a wow card she stamped and colored the flower on scrap paper and cut it out and popped it up with a dimensional and added a gold brad to the center. Sue used another set from the Holiday Mini. She used a set called Full of Blessings. Sue stamped the image and then used blender pens to pick up ink from the ink pad to color her images. Sue also added a little distressing around the edges by sponging on some color. I love richness of color on this card. All the shades of green and orange. You can really control the amount of color when you apply it with a blender pen. 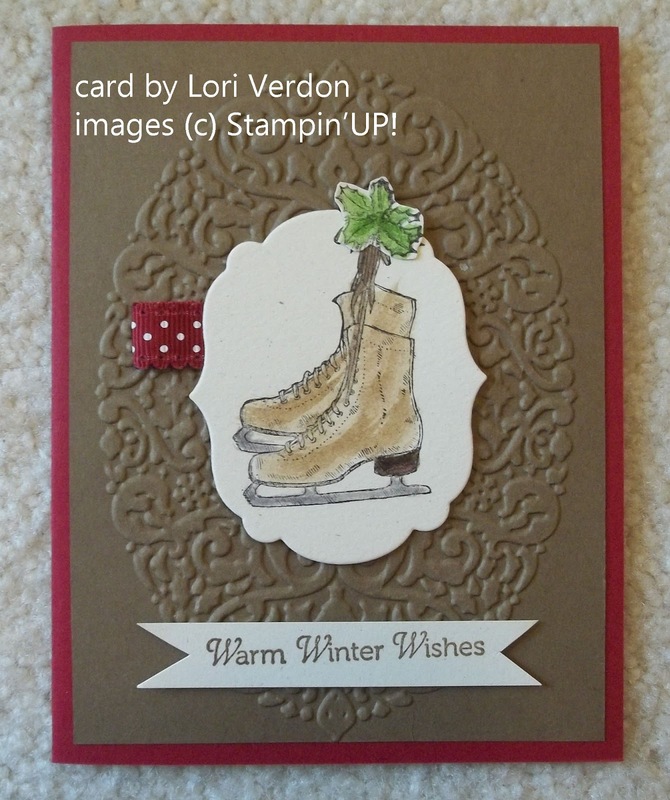 Lori's card uses a stamp set from the Main Catalog. The set is called Winter Memories. And the image of ice skates sure does bring back memories for me. I grew up here in Wisconsin and ice skating was a common winter activity as a kid. 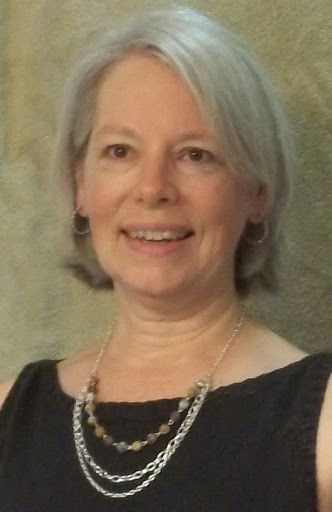 Lori's image was also a line image which she then colored. Notice the 2 different colors of brown on the skate. Isn't it great to have a large choice of colors to choose from when working on your projects. Are you sensing a segue here? 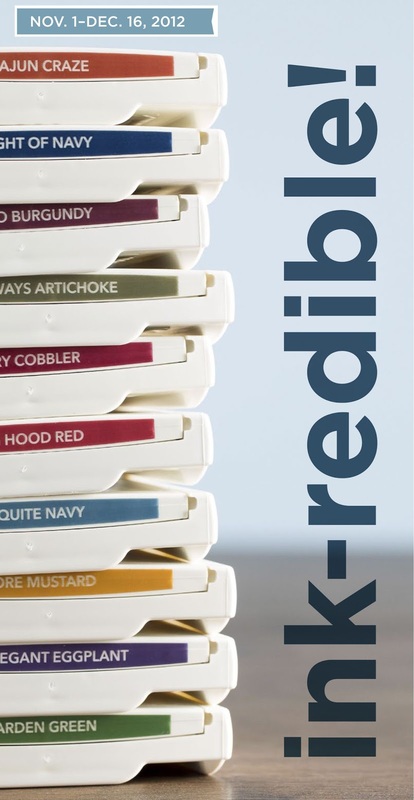 We are back to ink colors and the 2 INK-redible offers this month. With the recent change in pads, from felt to foam pads now is a great time to make sure you have full sets. Remember, you have 2 ways to get those 10 FREE INK PADS. 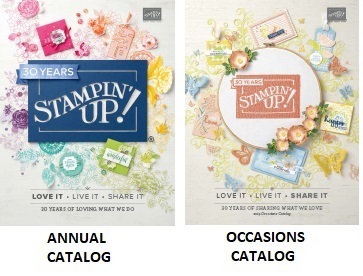 You can host a qualifying party or you can join Stampin'UP! Or better yet, Join first and then host your own party and get 2 free sets of ink pads! Hosting or Joining: Either way I'm sure you probably have some pretty serious questions and I'm happy to answer them. Send me an email or call me today. 608-220-3450. I wasn't kidding about getting 2 free sets. If you join early in the month, like now, and you have enough time to organize a party of your own before the end of the promotion period. You can do it. Why not? There is seriously nothing to lose. Click HERE if you want to join now. I really hope you consider this. It is an amazing thing to be part of and you can't beat the numbers. I look forward to talking with you soon and welcoming you into my team.